In the e-Learning universe, there are many ways to test your students’ level of knowledge. Quizzes and surveys are among them. However, the well-designed quiz can be a tool of teaching, not just measurement. In this white paper you will learn five secrets that will help you easily build quizzes that not only assess how much your students have learned, but provide opportunities for them to learn more. touches like saying “Fantastic job!” instead of “That is correct” or “Oops! Not quite” instead of “Sorry, that is incorrect.” But you can also use the feature to give significant content in the feedback. For example, if the answer is incorrect, you can explain why it is incorrect. If a student selects the wrong term in a multiple choice question, the feedback could also explain what that term really does mean. Explanations can even be helpful when the student chooses the right answer. One course creator testifies, “I usually have customized feedback that tells them why they are wrong, or adds some extra information if they got it right (they might have fluked, so a reminder of WHY the answer is right can’t hurt)” (Burtch). This way, the user has the opportunity to either learn or review the concept no matter which answer is selected. attempts will give students credit for learning from their mistakes. They can also be used to facilitate mastery learning. assumes knowledge of the previous topic. “concepts and skills” they lack (Guskey). This, too, can easily be facilitated in an e-Learning course. Based on an individual’s results on either an entire quiz or a specific question, an eLearning course can automatically redirect him or her to any content you choose. an incorrect answer. The info slide can review the concept with words, images, audio, or even a video on the subject, giving you many options to effectively present the needed material. follows their own personalized path through the material. real time and then channel them to relevant questions” (“Quiz Making Tools People Love to Use”). Branching scenarios can also be used to navigate users through your course’s content. For example, based on quiz results, you can send users to the relevant slides or lessons that they should study next. You can even set up an entire course as a branching scenario. company policy, safety procedures, skills in a field, or even interpersonal skills. They often have characters and follow a storyline. Users can make choices about how to respond to the characters and situations presented, and discover what the consequences will be. The course may enable the user to go back and try every option to discover its results. Whether you use a branching scenario as an assessment or as an exploration, it will give users the opportunity to learn from your quiz. Customized feedback, multiple attempts, info slides and branching scenarios are all strategies to turn any quiz into a learning opportunity. No matter which strategy you choose, you need a reliable tool to utilize it. 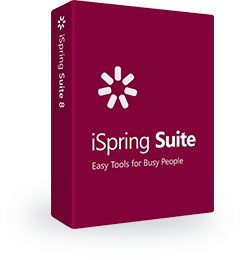 One solution, which has all of these features in an easy-to-use format, is iSpring QuizMaker. Using a tool like QuizMaker and these strategies, you can easily create assessments that will not only measure learning, but also facilitate it. Brandman, Relly. “5 Tips: Learn More Effectively in Class With Mastery Learning.” Coursera Blog, Coursera Inc. 13 May 2013. Web. 17 Dec. 2014. Burtch, Kayla. Response to “Custom Feedback for Quiz.” E-Learning Heroes, Articulate Global, Inc. 25 July 2011. Web. 12. Dec. 2014. Elkin, Diane. “The Thinking Behind a Branching Scenario.” E-Learning Uncovered, Alcorn, Ward, & Partners, Inc. 4 Feb. 2014. Web. 12 Dec. 2014. Guskey, Thomas R. “Lessons of Mastery Learning.” Educational Leadership 68.2 (Oct. 2010): 52-57. Web. 17 Dec. 2014. “Quiz Making Tools People Love to Use: Industry Leading Quiz Software for Creating Interactive Media-Rich Quizzes.” iSpring Solutions, iSpring Solutions, Inc. 2014. Web. 17 Dec. 2014.